Fun fact: tequila is one of the fastest-growing spirit categories in the United States. 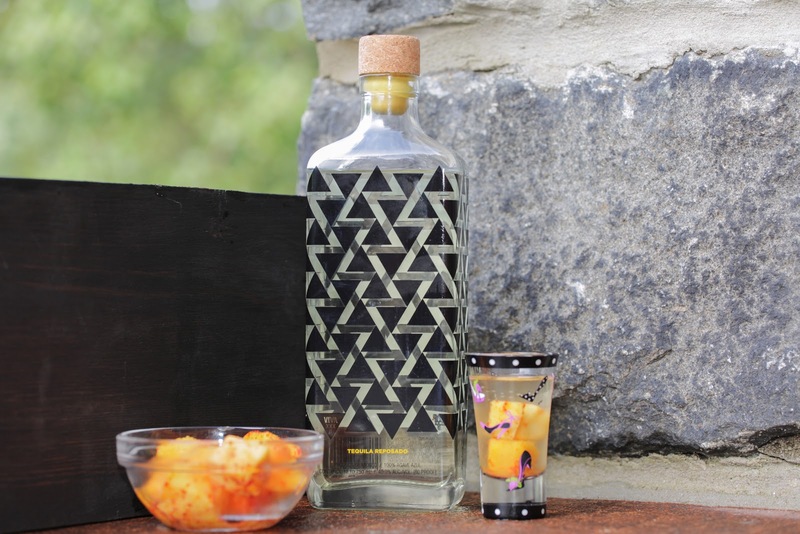 Here at SNB, we can't get enough of the stuff—especially reposado served neat on a warm day. Consequently, we were excited when woman-owned tequila brand, VIVA XXXII sent us a bottle of their newly released liquid for review. VIVA XXXIII was founded by Yvonne Niami to bring a luxury sipping tequila to the marketplace at an attainable price. With that goal in mind, the bottle design was kept simple and features a triangle pattern that references the founder's Mexican heritage in a modern way. There's also a philanthropic angle. 10% of net proceeds are donated to animal abuse prevention causes including the ASPCA and SPCALA. Bright, sightly spicy, clean, notes of oak. Generally pleasant. Incredibly smooth with a nice amount of spice but virtually no burn. The flavor coats the tongue for a long-lasting finish and full flavor experience. We noticed herbaceous, or slightly grassy notes, in addition to those of oak and maybe even a little caramel. It's a bit brighter than some other reposado tequilas we've tried. We thoroughly enjoyed this tequila solo, and for a fun twist we tried it with chili-coated mango chunks (delish!). It's a great value for the price and a good entry for tequila novices. The bottle makes a great piece to upcycle after the liquid is gone, too. So we like it as a hostess gift for dinner parties. Oh, and it's heavenly in bloody Marias. Have you tried this brand before? If not, are there other questions we can answer for you about the flavor? We can talk about this stuff all day! Also, stay tuned for "Perfect Pairings" featuring VIVA XXXII cocktails soon. If you have shoes you'd like paired with a cocktail, let us know! *Special thank you to our photo sponsor, Chris T. Ramos Photography!